Help us try and get action from world leaders in Copenhagen! The United States on Thursday announced plans to designate more than 200,000 square miles in Alaska as critical habitat for polar bears, a key step towards increasing protection for the threatened species. It takes me an hour and a half each way, on two buses, to get to church on Sundays. For most people, this probably seems like a waste of valuable time. We would rather drive to church than go through the trial of catching a bus there. Yet we know that for the sake of the environment we should be catching public transport, riding a bicycle or walking to church. In the times when your church was chosen by the fact it was the closest one to you, it was much easier to take these options. These days, many people chose their church community based on the place that has the best facilities for them, or makes them feel most welcome, which can mean traveling several suburbs away to attend church. This means that the environmental impact of the congregation traveling to church on Sundays begins to give the church quite a large ecological footprint. Use these techniques to make the bus ride part of the service and the ride will be over before you know it. You might even wish it was longer. If you do, try catching the bus to work using the same technique. Getting closer to God and saving the planet - what do you have to lose? Christians can make great environmentalists. The Bible’s teachings on the environment and how we should live as Christians help us to move beyond the (crisis motivated) sustainability ethics that have evolved around climate change. Instead, these teachings move us towards a different way of thinking and acting; one based on humility, kindness and justice for all creation. This verse has inspired many to work for the poor, and to improve the treatment of other men. But the verse can also be applied to our treatment of the natural world and all its creatures. From an environmental point of view the world is not a very just place. The rich and the powerful are free to pollute and degrade the environment, while the poor suffer the consequences. We have seen it time and time again: large companies building factories in poor suburbs or towns where the children begin getting sick; mining companies destroying the land and livelihoods of local people; oil spills caused by badly maintained ships destroying local fishing industries; free riders causing the tragedy of the commons; and now climate change forcing the poor out of their homes while the rich continue to blithely pollute. Climate change will always affect the poor the most. The rich might have some buffer from increasing droughts, natural disasters and rising sea levels, but the poor have none. Already 3000 Tuvaluans have been forced to become environmental refugees by the rising sea levels on their low lying pacific island. Millions in Bangladesh and other pacific countries may face the same fate. These people have contributed very little to the problem, yet they will still suffer the consequences. So, if we are to ‘do justice’ we must stop allowing the poor to pay for our comfort. We must consider whether it is just that Australians have an ecological footprint so large we would need four planets to support everyone in the world, at the same standard of living. If it is not, Christians and the church must act together to help reduce our impact on the earth. As well as reducing our energy use, this means reducing our use of water so everyone has access; reducing our use of pesticides and production of waste so we aren’t polluting the areas others have to live in; making ethical purchasing decisions so we are not buying things we don’t need, and so we are not contributing to slavery, sweatshops, unfair trade or the production of products like blood diamonds. Finally, we must ‘walk humbly’ with our God; and this can be the hardest step. It is time that humanity stops clinging like a child to the idea of our superiority over the rest of creation. God has made humanity his stewards to care for the earth, and we, God’s children, must reveal ourselves through our obedience and work for the redemption of creation. We must remember that we are not defined by our possessions, but by our relationship with God. It is in God that we are to find peace and security. When Jesus came to earth he did not insist on wearing the latest fashions or keeping up with the Joneses. Instead he chose to come to the world as a poor carpenter. He got around by walking, or riding on the colt of a donkey – the lowliest transport available. Jesus was unconcerned by money and appearances. I think he who told us not to worry about our clothing, would have been horrified by the idea of the suffering of both people and the environment that tends to go into our clothes and belongings today. In today’s world, Jesus’ is a challenging example. Humility is an unpopular word in today’s society. Somehow pride, greed and ambition have ceased to be sins and become virtues. In a world that worships the rich and powerful, would we recognise Jesus? And if we did, would we abuse his creation for our own gain? Living as a Christian gives us many opportunities to care for God’s creation. By reflecting on God’s words, we can learn to act in a way that is more in harmony with nature, and with God’s will and purpose. In spite of the ecological crisis; if practiced faithfully maybe justice, kindness and humility are the keys to saving us all. I am starting a new series of Bible Studies to explore how living faithfully as a Christian and following the teachings of the Bible on how we should live our lives can also make our actions more environmentally friendly. I hope you find this series exciting and inspiring, and that it helps you to understand the harmony between Christian faith and caring for the environment. CENTENNIAL Park is a natural haven for more than 30 species of native animals including birds, koalas, possums, fish, lizards and tortoises - and a revegetation program aims to attract more. BOTANISTS at Britain's Kew Gardens have collected seeds from 10 per cent of the world's wild plants, their first goal in a project to protect all endangered plant species. Microsoft co-founder turned philanthropist Bill Gates on Thursday announced $US120 million ($A131.25 million) in grants to help small-scale farmers in Africa and India improve their lives through sustainable agriculture. A poll of 8,000 adults by YouGov found that 80% of people would consider recycling more, while 33% might use public transport more. The cost of running a car, fears about congestion, faster and more reliable buses and trains were all more likely to persuade people to use public transport than any fears about air pollution or climate change. Top of people’s priority problems was the state of the economy followed by fear of crime, the state of the NHS, the education system and levels of taxation. Environmental issues were below all of them. The findings provoke questions about the wisdom of promoting “environment” as an issue in itself when the real issue may be the impact of ever more people on diminishing resources. Climate change will always affect the poor the most. The rich might have some buffer from increasing droughts, natural disasters and rising sea levels, but the poor have none. Already 3000 Tuvaluans have been forced to become environmental refugees by the rising sea levels on their low lying pacific island. Millions in other pacific countries and places like Bangladesh may face the same fate. These people have contributed very little to the problem, yet they will still suffer the consequences. One man who understood justice and injustice was William Wilberforce. The great Christian hero who led the fight for the abolition of the slave trade and slavery in the British Empire also saw the link between justice for humanity and for animals. When he wasn’t working on abolition or introducing a raft of other improvements to schools, workplaces and jails, he was working on his other great achievement – the foundation of the RSPCA. Visitors to his home were often amused by his collection of pets, such as hares and parrots, which he rescued and rehabilitated. Amazing Grace, the movie describing his life, begins with a sick Wilberforce stopping his carriage and getting out in the pouring rain to prevent two men, by the side of the road, whipping their horse to death. Another scene in the movie portrays him getting in some trouble with his frantic cooks due to his inability to turn away beggars from the door when they asked for a meal. We have seen this example also in St Francis of Assisi, famous both for his care of the poor and his love of animals. As St Francis and William Wilberforce recognised, eco-justice is about more than saving the environment for the sake of the poor or humanity. Who, after all, cannot speak more than the animals? How we treat animals tells much about two things: how we will treat other men, and how we see God. St Francis of Assisi said of its reflection on the treatment of men “If you have men who will exclude any of God’s creatures from the shelter of compassion and pity, you will have men who will deal likewise with their fellow men.” Leonardo da Vinci went even further, saying “The time will come when men such as I will look upon the murder of animals as they now look on the murder of men.” Personally, I look forward to that day. An injustice that is close to my heart is that of conservation based on men’s values – where a species is deemed worthy of conservation only if it has a use for man, or if it is sufficiently cute and cuddly to stir compassion. Because of this, thousands of reptile, fish and insect killings are ignored while vast resources are pumped into saving dolphins and pandas. What hope then, is there for the ugly creatures whom God loves just as much? If we are to ‘do justice,’ as we are commanded in Micah 6:8 we must stop allowing the poor to pay for our comfort. We must consider whether it is just that Australians have an ecological footprint so large we would need four planets to support everyone in the world at the same standard of living. If it is not, we must act together to help reduce our impact on the earth. As well as reducing our energy use, this means reducing our use of water so that everyone has access; reducing our use of pesticides and production of waste so we aren’t polluting the areas others have to live in; and making ethical purchasing decisions so we are not buying things we don’t need, and so we are not contributing to slavery, sweatshops, unfair trade or the production of products like blood diamonds. We, as the church, have a wealth of opportunity to become a part of something very important. Christians can make great environmentalists. The Bible’s teachings on the environment and how we should live as Christians help us to move beyond the (crisis motivated) sustainability ethics that have evolved around climate change. By reflecting on God’s words, we can learn to act in a way that is more in harmony with nature, and with God’s will and purpose. These teachings move us toward a different way of thinking and acting; one based on humility, kindness and justice for all creation. In our prayers for others our weekly endangered species prayer is for the endangered frogs we had a talk about at the youth meeting on Friday. We also thank God for the way he has blessed and added to our church through our environmental work. After the service I pack up my copy of the Green Bible and join the communal lunch. Fresh, local, vegetarian food abounds and is shared with the homeless. After the meal I go to check on the animals in our special rescue room. We have an arrangement with the local wildlife rescue network whereby our church gives carers a day off each week by caring for their charges. We also provide food, money and sew little pouches for the various marsupial orphans. I quickly make a couple of arrangements for the clothes and tool swap next week on the way out. I meet up with the church greening group and we head out to Greenhills Camp and Conference Centre for a working bee. Our Canberra Christian Environmental Action group is going quite well, with our church teams and local conservation groups making quite a difference around Canberra by dedicating a few hours per week. It is a testament to the way the church has now taken leadership in the environmental arena. Ok, so I’m dreaming. Yet I have not mentioned anything that is not possible, nor anything that could not, in theory, be started today. The church could, and I think should, lead the future development of the environmental movement, and I would like churches like Kippax to be a part of that. After all, here in our presbytery where we have a highly educated population, with one of the highest incomes per capita in the country, and also one of the highest levels of awareness of environmental issues. These privileges come with a responsibility to lead the country in environmental efforts. Helping churches like Kippax is why I started the Five Leaf Eco-Awards. 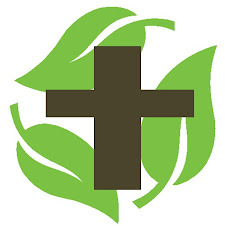 An ecumenical church greening award program, Five Leaf is my contribution to the growth of the exciting church greening movement in Australia. In the UK, and particularly the US church greening is rapidly taking off and gaining a lot of power as hundreds of churches and church leaders become engaged in environmental improvement projects and environmental certification schemes. Here in Australia, the movement is smaller, but already there are some really exciting stories coming from churches around the country. Currently a new church is being built in the grounds of an environmental education centre in Melbourne for a congregation who are so focused on the environment they chose their new minister for her ability to fit in with that philosophy. Another church in Melbourne, the Port Melbourne Uniting Church is running an eco-project including a community garden which provides food for their outreach programs to the local poor. They were the first church in Australia to achieve the Five Leaf Eco-Awards Basic Certificate and they have many more exciting plans for the future. Another example is St Luke’s Uniting Church in Geelong who achieved a 22% reduction in their energy use last year, and are planning to reduce this by a further 10% this year. In Sydney Project Green Church at Maroubra Junction Uniting Church have been running their exciting program for years and closer to home we have the community garden at O’Connor UC, some exciting greening work at the Greenhills Camp and Conference centre and of course, the solar panels recently installed here at Kippax. If you are interested in getting involved with prayer, action or joining the Kippax church greening group please let me know. It’s going to be an exciting journey, and in the end we will have a more just world for all. Improving eco-justice isn’t hard, but it can require a little thinking and change. So, how are you going to make the world a more just place today?